“Happily ever after starts here” - Unforgettable Incorporated in Temple, TX specializes in creating and coordinating once in a lifetime wedding & events while staying within your budget. We are an all-inclusive planning service for any event. We eliminate your stress and worry so you can enjoy your special time. By choosing us, you will have a team of experienced professionals bringing your dream to reality while staying within your budget, and in touch with you. No matter if you need a DJ, photographer, event decorator, catering, that perfect hair style and make up, and/or venue - we take care of everything for you. We work hard to create unforgettable and unbeatable wedding events for you! And that work has paid off. 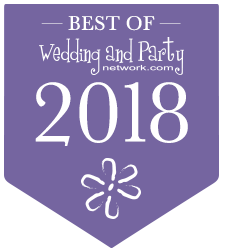 We were selected as Best of Wedding.com's Wedding Planner in 2013 & 2014. We are also a member of the Association of Bridal Consultants. Unforgettable Incorporated in Temple, TX specializes in planning once-in-a-lifetime wedding events. Browse through our wedding gallery to seek inspiration on how your wedding day could look like!